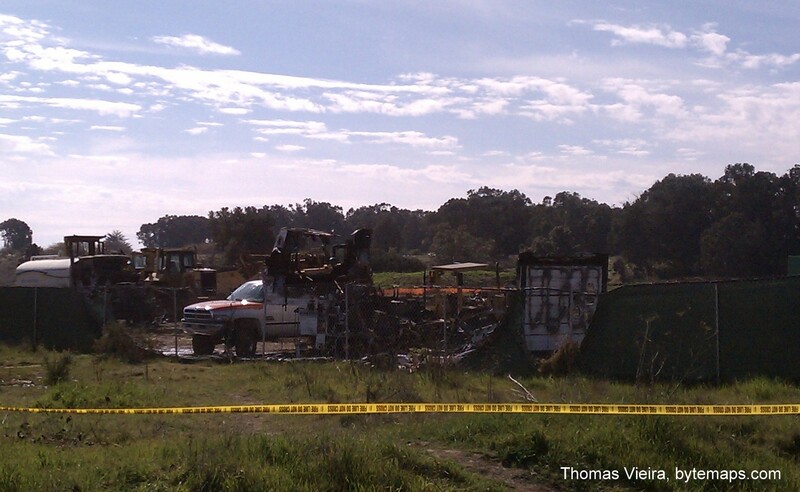 Early Sunday morning fire raced through UCSB's North Campus construction site on Phelps Road at Cannon Green, destroying several pieces of machinery and a shipping container. Firefighters reponded and extinguished the flames, and no injuries were reported. State, County and University Police suspect arson and are looking for a man reported to be in the area around the time of the fire. A $5,000 reward is offered for information leading to an arrest. The construction site is the future home of housing for UCSB faculty. Despite the need for housing to attract qualified professors, the project has raised the ire of local residents who feel the project is harmful to the sensitive bluff ecosystem, and hinders public access to the beach and Elwood Preserve. Graffiti criticizing the UC and the project has appeared several times at the site. 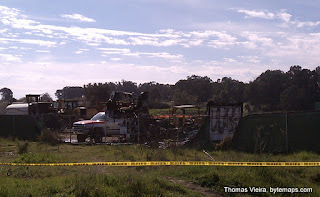 Arson Fire Scorches UCSB Construction Site by Thomas Vieira is licensed under a Creative Commons Attribution-NonCommercial-ShareAlike 3.0 Unported License. Based on a work at bytemaps.com. Lightsquared INC. continued today to press ahead insisting that their 4G technology is safe, despite unanimous U.S. government findings indicating that the new 4G data technology will cause major interference with Global GPS systems. According to the National Executive Committee for Space-Based Positioning, Navigation & Timing, nine government agencies have unanimously found that wireless broadband which 4G plans to implemented will interfere with navigation satellites used by ships, planes and cars all over the world. The Committee informed the U.S. Department of Commerce that no further testing would be needed. Lightsquared continues to insist that the damning tests were "bogus" and that they used obsolete devices. U.S. regulators said they won't approve LightSquared for commercial service should they find it would significantly disrupt GPS devices. The Reston, Virginia-based company backed by Falcone's Harbinger Capital Partners hedge fund plans high- speed wireless service to as many as 260 million people. Piedra Blanca National Recreation Trail goes for two miles across a beautiful high mountain regions of Southern California. This trail is located up in the hills above Ojai, CA. 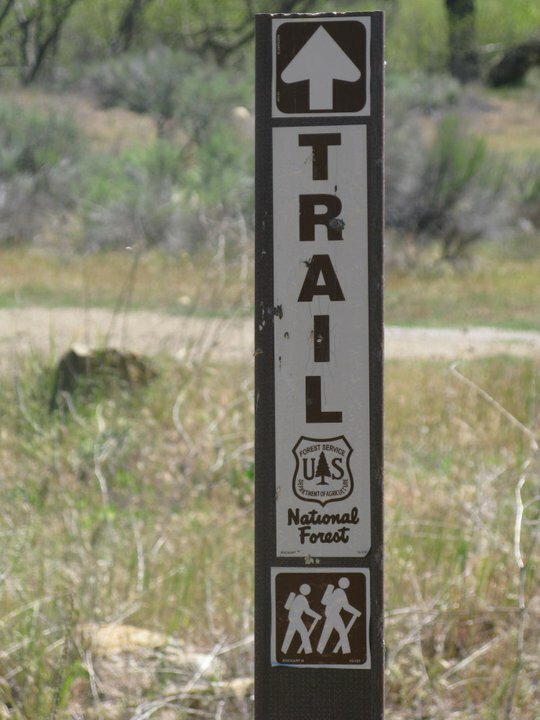 The trail head is about 3 hours away from Los Angeles by car and provides a welcomed retreat to an afternoon of peace and quiet without being too far from home. The rock formations are nestled in a valley in the shadow of the great Pine Mountain Ridge. I found it fairly easy to hike up these formations, and the view from the top was outstanding! The hike itself was quite easy; the trail is relatively flat until the very end. There are three river crossings, but they are early on in the hike and quite manageable. At times the trail would be hard to follow if not for the Nation Park Service's Signs! Here is an overview of our hike, showing the Parking lot and trail head (A), Stream Crossings (B) and Top of the Second Tallest Rock in the Piedra Formation. Rose Valley Road is nicely paved inbetween the trail head and the highway, and the trail head offers plenty of parking, restrooms, and picnic tables! My hike: Started and Ended at A! Once I crossed the triple river crossing, the landscape opened up into a wide plane which showed extensive scarring from previous glaciation. The result were rocks and hills with geometric patterns carved neatly into them. The picture below shows the view from the river towards the rock formations, with Pine Mountain Ridge looming in the background. We climbed to the 'C' at the top of the peak. Hiking up the glacier-scarred plane towards the rock formations. 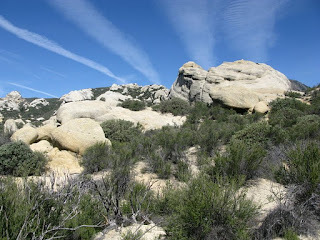 A 17.7 mile trail in the Sespe Wilderness through impressive white rocks to a number of wilderness campsites. Designated a National Recreation Trail in the Los Padres Condor Range and River Protection Act. Named for Gene Marshall, a leading advocate of wilderness designation for the Sespe who played a key role in the development of the Los Padres Condor Range and River Protection Act. In the Ojai Ranger District the Gene Marshall-Piedra Blanca National Recreation Trail offers Wilderness access along an eight and seven tenth mile trail. First half easy, then very steep climb. Drive to Lion Campground at the end of Rose Valley Road. Cross the wide stream bed and take the trail to the left. After about half a mile turn right at the junction. This will bring you through the impressive white rocks and to Piedra Blanca Camp after 2.7 miles. Twin Fork Camp is a half mile further and has water most of the year. Trail to Pine Mountain Lodge Camp is another 3 miles, very steep in places, but well worth the visit. This camp is nestled in the conifers and has water close by. From the junction at Pine Mountain Lodge, the Piedra Blanca Trail continues northwest to Haddock and Reyes Creek Camps. The trail which goes east takes you to Fishbowls or Cedar Creek Camps on the Mt. Pinos Ranger District. Use the viewer below to look at my path - you can zoom, tilt, and pan to get a look from any angle you wish! Also, adjust the slider in the top left corner to see where I was exactly at any time! Piedra Hike Blog Post and related content by Thomas Vieira is licensed under a Creative Commons Attribution-NonCommercial-ShareAlike 3.0 Unported License.